for budget wise, i think Klinik Kembiri wud be the effective cost. Can you tell me where Klinik Kembiri is? Its only RM40 for males and RM60 for females. Garlic is due for his castration soon too, he is now 5 months old. I will be sending him to my local vet who is gonna charge me RM145. I guess its more for comfort of mind knowing that he receives a better service. 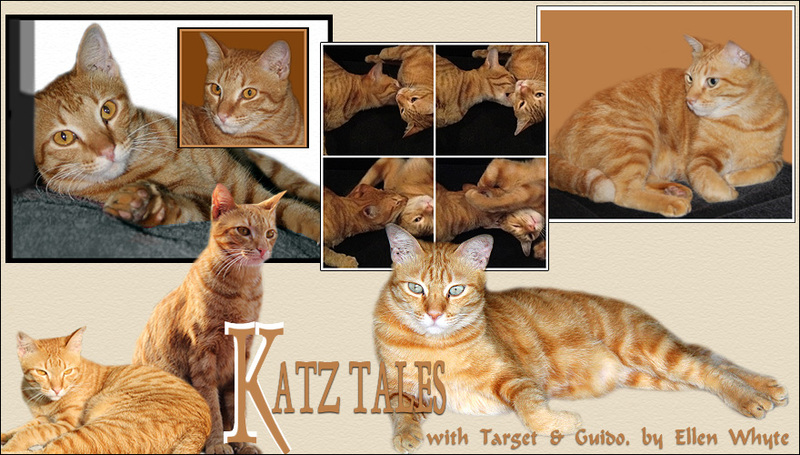 Katz Tales, the moms actually let you put the kittens in the boxes? They do not carry them away? For little Garlic the op should be fine. Scoop and Au were done at home. They were fuzzy for a few hours, but back to 100% normal the next day. And of course they miled the situation for all the treats they could! 1. Catching and transporting them. 2. Knowing which ones have kittens somewhere. Our lane is quite long and I'm not sure which cat has kittens. Wouldn't want to take one away and have kittens dying slowly. 3. There are so many of them! Still, RM60 per cat sounds OK. I can do them in batches maybe. Will contact them to find out more. I sent one of my cat to a local govt animal clinic to be spayed. She got a 2" stiches! She was in pain, I felt so guilty cos I wanted to pay less for the surgery. When I adopted 2 more strays, I sent them to a local vet, expensive but it gives me the comfort knowing that they get the best services and recover fast. well, shud anyone cud afford, go to private or else, the government's is always available. I pay Scoop and Au's vet bills without a qualm - it's part and parcel of looking after a cat. But to pay RM150 per cat spayed plus boarding services for 4 to 5 days while theire stitches heal, and to times that by 9 cats (plus 4 new kittens!) is just unafforadable for me. Unfortunately I am orang puteh so everyone thinks I'm working on an expat's salary and rolling in cash. I won't be able to take advantage of any scheme I think, but I'll try and talk my neighbours into helping. Thanks for the tips. Will keep you posted.